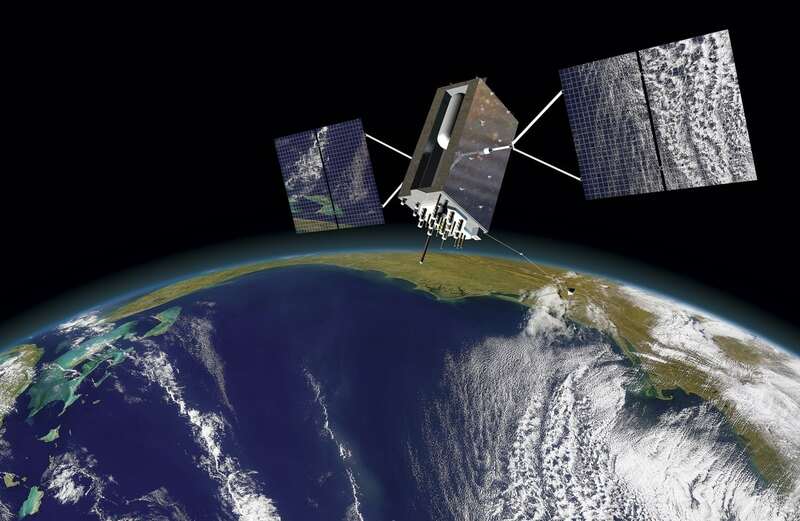 Artist's rendering of a GPS III satellite. Image: Lockheed Martin. The U.S. Air Force’s troubled Global Positioning System (GPS) Next Generation Operational Control System (OCX) has made progress in its development recently, but the ground-control system still has major hurdles to overcome to become fully capable, according to a key general. The progress was highlighted by the Nov. 2 announcement that the Air Force has accepted the initial, or Block 0, version of OCX from prime contractor Raytheon [RTN]. OCX, which has been plagued for years by cost overruns, schedule delays and problems with cyber security, software and systems engineering, finally reached the delivery milestone with the help of agile software development methods, such as developing software in smaller increments and testing it as soon as possible, said Lt. Gen. John Thompson, commander of the Air Force’s Space and Missile Systems Center (SMC). An artist’s rendering of a GPS III satellite. Photo: Lockheed Martin. “We’re cautiously optimistic that the program will continue to get better and execute,” said Thompson, who spoke with reporters at the Pentagon Nov. 2 and at an Air Force Association breakfast on Capitol Hill Nov. 3. While Block 0 does not have all the capabilities of Blocks 1 and 2, it will allow the Air Force to begin launching Lockheed Martin [LMT]-built GPS III satellites in the spring and checking them out on orbit. But Thompson added that “there’s a lot of work left to go to get to Blocks 1 and 2,” which are slated for delivery in 2022. Block 1 will control new GPS III satellites and existing GPS II spacecraft, while Block 2 will enable a new, more secure military signal called M-code. The program is receiving a significant amount of high-level oversight to try to keep it on track, Thompson said. In September, for example, Undersecretary of Defense for Acquisition, Technology and Logistics (AT&L) Ellen Lord, Air Force Undersecretary Matthew Donovan and Gen. John “Jay” Raymond, head of Air Force Space Command, all met with the Raytheon to review the program’s progress. While milestone decision authority for several space programs, including Military GPS User Equipment Increment 2 (MGUE Inc 2), recently shifted from the AT&L office to the Air Force as part of an effort to delegate responsibility to the services, Thompson said he expects OCX oversight will stay with AT&L, which has played a “very helpful” role in that program. The Air Force plans to continue to assess alternatives to OCX in case the program runs into new problems, Thompson added.